Do you remember when silence was sound? 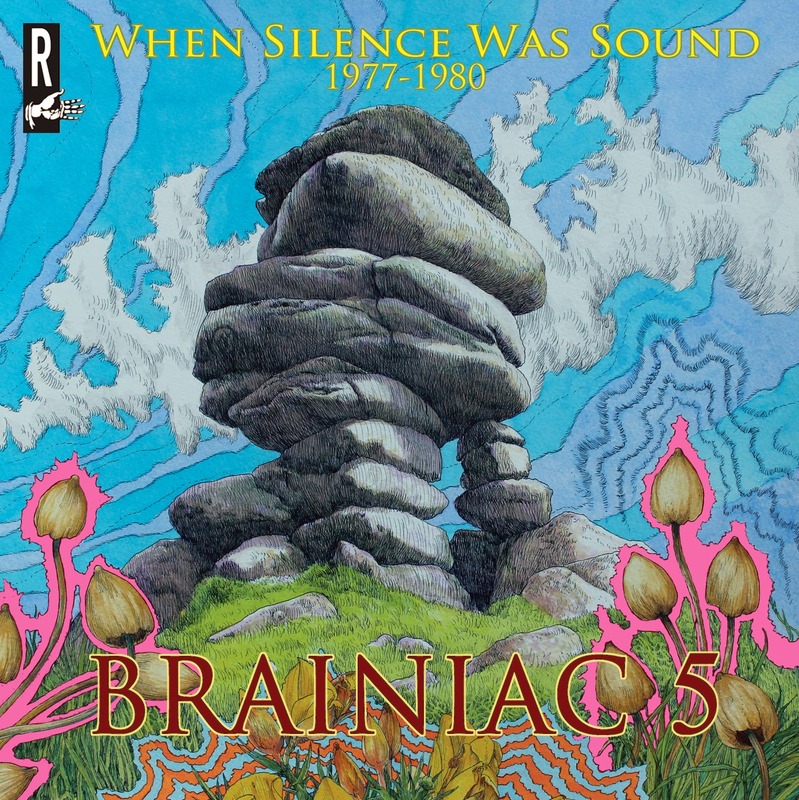 This timely compilation documents the first flourishing of psych-punks The Brainiac 5, born out of the free-flowing Cornish freak-scene of the mid-70s. Featuring seventeen extremely rare recordings, highlighting the band’s New Wave smarts melded with lysergic guitar workouts influenced by the late-60s San Francisco scene, the release comprises the band’s 7-inchs, along with sole long-player World Inside, produced by Hawkwind/Hawklords drummer Martin Griffin, and live tracks recorded at The White Horse, Launceston in 1980. Including a sixteen-page booklet with full band history by archivist Colin Hill, When Silence Was Sound is packaged in mindbending art from the paintbox of noted UK artist John Hurford. Released on 7 April on the specially reactivated Reckless Records imprint, the anthology chimes neatly with the current resurgence in all things psychedelic. Formed out of the ashes of free festival favourites the Half Human Band – also featuring Griffin – the initial Brainiac 5 line-up of guitarist/vocalists Charles Taylor (aka Charlie Nothing) and Bert Biscoe, bassist John ‘Woody’ Wood and drummer Steve Hudson made a name for themselves on the isolated yet thriving Cornish pub, club and festival scene. Coming to the attention of the NME with their Mushy Doubt EP, and with Richard Booth of early Stiff signings Plummet Airlines replacing Biscoe, the band made the move to London to enjoy the fruits of a gig circuit enlivened by punk. However, they split before World Inside could be released, the album eventually seeing the light of day in 1988 via Reckless Records, the label arm of the secondhand record empire founded by Taylor, also responsible for releases by such psych legends as Bevis Frond, Black Sun Ensemble and Mu. Fast forward to 2013 and with Taylor returning to the UK after 20 years running Reckless stores in the States, the opportunity to reconvene the Brainiacs results in Space Is The Place, a 10-inch EP of new recordings on Bucketfull Of Brains magazine founder Nigel Cross’s Shagrat label. Garnering effusive reviews from the likes of The Wire and Shindig! magazines, and with Charlie and Woody now joined by another Plummet alumnus Duncan Kerr on guitar, along with Nick Onley on sax and flute and Wayne Worrell on drums, The Brainiac 5 are once again very much a going concern. A long strange trip indeed! In the spirit of cross-continental musical camaraderie, two of Europe’s hottest roots-rock and Americana bands are embarking on a set of very special live dates in their respective homelands. 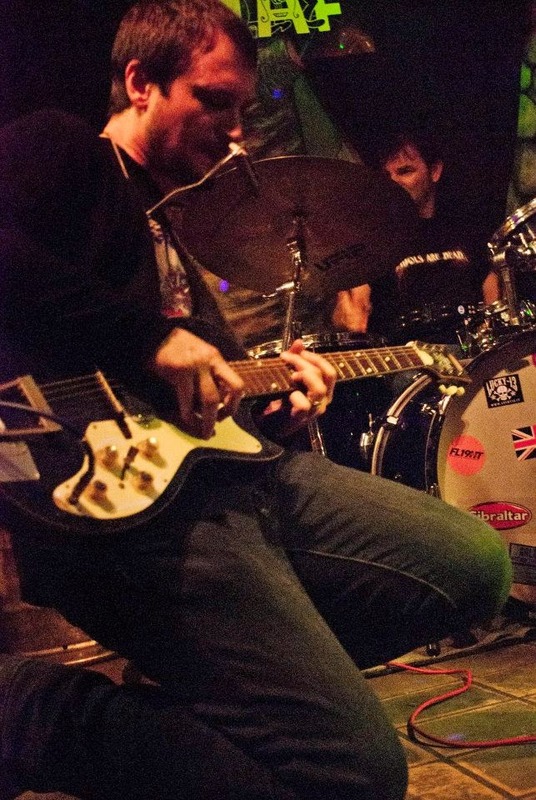 At the end of February, fast-rising Essex band The Lucky Strikes will fly to northern Italy to support the country’s number one roots-rock band Lowlands at two shows outside Milan. The following weekend, the Italians will head to the UK where they’ll support The Lucky Strikes at two shows, culminating with a performance at London’s long-running Americana club Come Down And Meet The Folks. Full dates are as follows…. The dates will be celebrated with The Low & Lucky EP, a strictly limited featuring both bands covering each others' songs, on sale at gigs and via the Harbour Song Records website. Lowlands’ current album is Beyond (Stovepony). Frontman Edward Abbiati will be releasing a new album in collaboration with Green On Red’s Chris Cacavas in the summer. The Lucky Strikes’ current album is The Exile And The Sea (Harbour Song). A single from it ‘New Avalon’ will be released in the spring. 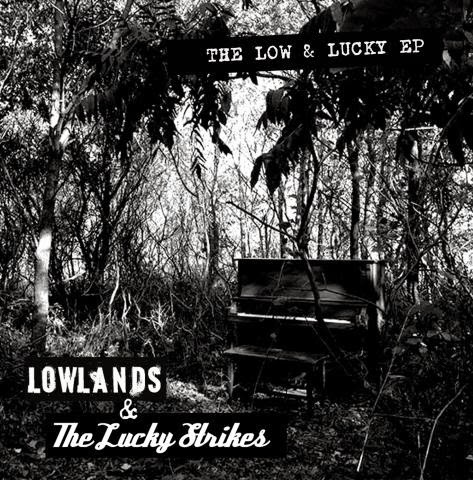 Here’s what they said about Lowlands…..
Here’s what they said about The Lucky Strikes….. While they’re here, the band will be recording their follow-up album at East London’s Gizzard studio (Cribs, Mudhoney, Billy Childish, Slow Club), with Pete Bennett of acclaimed London folk/Americana trio Morning Bride and garage-blues bands Monkey Island and The Dublo producing. The location marks a stark contrast to the abandoned church in Tuscany’s picturesque Romagna hills where they recorded their debut. The album is expected to be released in the Summer. Stiv Cantarelli initially came to prominence as leader of Italy’s number one alt.country band Satellite Inn, who were recruited by North Carolina label MoodFood as a replacement for the ascendant Whiskeytown. Touring the length and breadth of the US, Cantarelli became firm friends with Portland, Oregon roots legends Richmond Fontaine, which has led to him releasing several records on their El Cortez label and employing them as his backing band on his solo debut Innerstate. It was this connection that found him supporting and tour managing Bob Mould on his Italian dates of 2010. In the Silent Strangers, Stiv is joined by former Satellite Inn rhythm section Fabrizio Gramellini (bass) and Antonio Perugini (drums) along with new member Roberto Villa (guitar and sax). Praise for Black Music / White Music….